South Western Communications has been instrumental in equipping the project with the latest in safety and technology solutions. The project included a complete replacement of the existing control system including door controls, an intercommunications system, utility control system and Samsung CCTV. One huge improvement in safety is a result of SWC’s installed Innovisit Video Visitation solution. 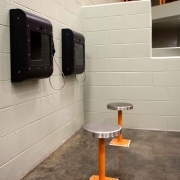 Sheriff Blackwelder is quoted saying “there will be a computer monitor on the (inmate) wall and the visitor will be up front in the video visitation room. This takes worry away from moving inmates and scheduling visits. We will be able to get more visits in a shorter amount of time.” The result is both improved safety and overall efficiency for jail operations. Changes throughout the facility to further improve safety include the enhanced IP Samsung CCTV cameras, which provide full-scale visibility. These cameras will automatically pull up when an intercom is selected and in an alarm situation. In the control room, the new touch screen controls provide ease of use for staff looking to open doors, connect with the intercommunications system and access additional security functions. 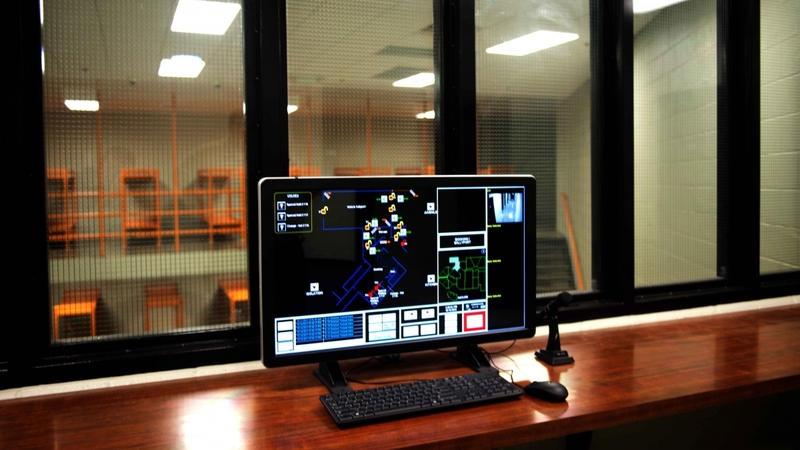 Overall, the improved systems allow for greater visibility and security of the larger Lincoln County jail without needing to add additional staff.